Beside the anvils, forges and other tools for Blacksmiths we would like to offer you the small pneumatic hammers for blacksmithing in 4 sizes. You know it is not easy to buy small hammer today and therefore we hope you will be intersted in our offer. The offered hammers are produced in China. 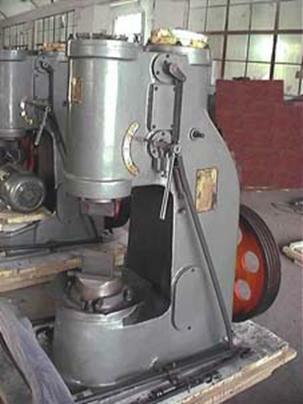 Their maker produce also the heavy hydraulic machines as presses, power shears, and special wroughting machines more then 50 years. These hammers were recommended to us by our customer in Norway, where they are popular among the blacksmiths for their simplicity and power. They are also sold in Australia and in USA. Construction solution of all 4 sizes of C41 series hammers is simmilar. These pneumatic hammers are used for the free forging craft as drawing, upsetting, punching, chiseling, smithwelding, bending, twisting, etc. They could be also used in die forging with open type of die. 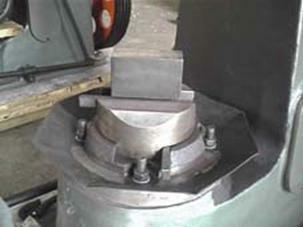 Hammers are designed as one piece machine on the base of heavy, casted stand. Operation is simple, controlling is done by pedal or handle. It is posible to obtain the idle run, top setting, series blow, individual blow with light blow or stron blow and pressing down. The lubrication is done by self-absorbing oil pump.